Infrared security cameras feature clear and detailed videos even in total darkness. Whether you are looking for the best infrared security cameras for home, or you have got an infrared security camera system and want to hide the infrared glow, you will find all the answers right here. In our prior post, we’ve also covered the top concerns about night vision security cameras. If you have any more questions about the IR security cameras, please feel free to complement your ideas or questions in the comment box. Buy Infrared Security Cameras in UK, South Africa, New Zealand, etc. Infrared security cameras, also called IR CCTV cameras, are the video monitoring cameras that can deliver clear and identifiable videos in low-light or no light areas. In terms of the appearance, an IR security camera often possesses multiple built-in red lights around the outer edges of the camera lens. As some of you may wonder, why do the infrared surveillance cameras have red lights? Actually, the so-called red lights (IR LEDs) are what gives your outdoor infrared security cameras the ability to “see at night”. They can provide lighting for the cameras to see in dim conditions or in total darkness. Though security cameras with infrared lights are often referred to as “night vision” security cameras due to their excellent night vision, don’t confuse them with the day and night security cameras. Infrared Security Cameras VS Day & Night Security Cameras: Their main difference lies in that the day & night security cameras are not the CCTV security cameras with infrared technology, so they cannot work in utter darkness. 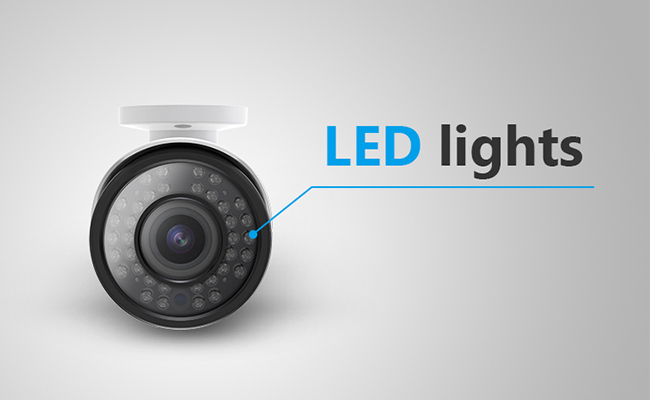 You can use a day and night security camera in low light conditions. But for places where there is no ambient light, a wireless infrared security camera is more ideal. The infrared security cameras use the infrared LED lights to capture information in darkness and work by detecting the infrared radiation or photons coming from objects emitting heat. Afterwards the infrared security camera system will convert the photons into electrons, which are then processed into images we see on our phones or monitors. In places that are well lit, infrared night vision security cameras will deliver a color picture. When it gets darker, the wireless infrared security camera system automatically adjusts and switches to infrared mode in which the camera records in black and white. Thanks to the working principle, the performance of outdoor infrared security cameras won’t be impacted by the fog or heavy rain that may hinder the light and lead to fuzzy images for other non infrared security cameras. Here we pick up some of the best infrared security cameras and systems to buy in 2018 along with the infrared CCTV camera reviews. If you are looking for a wire-free version of infrared security cameras with motion detection, Reolink Argus® 2 is the one you should never miss for your home. With the built-in LEDs and starlight image sensor, this wireless outdoor infrared security camera can see clearly even in total darkness up to 33ft. It also features PIR smart motion detection and can send you intelligent alerts when motion detection is triggered. Below is the daytime video shared by a real user of this outdoor infrared security camera. And here is the night vision video sample of Reolink Argus 2. 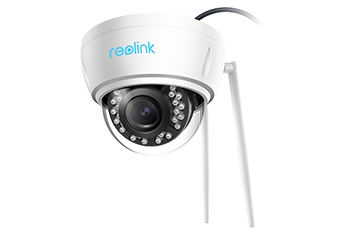 When it comes to the high resolution wireless infrared security cameras, Reolink RLC-422W should certainly top the list. This infrared bullet security camera has a 0 Lux rating in infrared mode and the infrared range reaches up to 100ft in the darkness. It is also featured with dual-band WiFi for less interference and 4X optical zoom. Watch the video captured by this CCTV infrared outdoor camera. 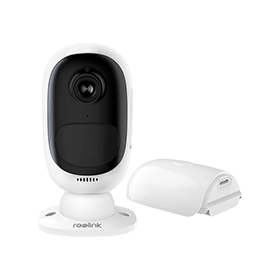 Among the wired outdoor IR security cameras, Reolink RLC-410 is one of the best cost-effective options below USD $100 that you won’t regret later. It also possesses a 0 Lux rating with infrared night on and is able to see up to 100ft in complete darkness with 36pcs IR LED lights and advance IR technology. Besides, this outdoor infrared security camera can also be hooked to phones for remote viewing, thus you won’t miss any precious moment even when you are away. 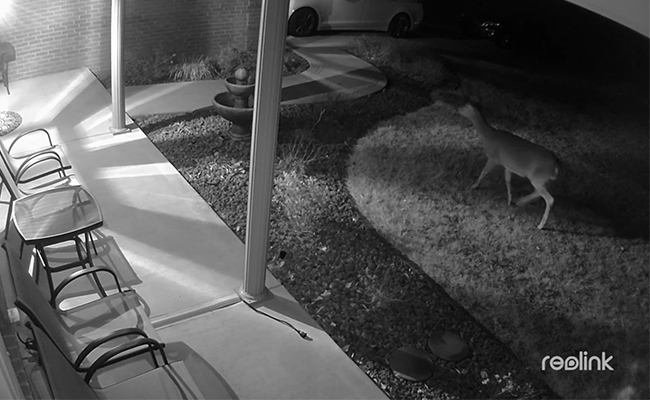 Watch the night vision video to check out the image quality of this outdoor infrared security camera. The home wired infrared security camera system Reolink RLK8-410B4 is high praised as “a surprisingly good CCTV kit for the money” by the Networkcamera – quite qualified for the reputation. This IR security camera system consists of 4 outdoor infrared security cameras Reolink RLC-410 (recommended above) and an NVR for 24/7 continuous recording. It is super easy to set up and can also record motion events even without Internet. So what makes a best infrared home security camera? And what features should you evaluate among the infrared security cameras for sale? Below is a list of the factors you can take into account when searching for IR security camera systems. There are typically two wavelengths for infrared security cameras to choose from: 850nm vs 940nm. And when you are looking for an infrared illuminator for security cameras, you would also be bogged down by the same question – Should you choose 850nm or 940nm infrared lighting for security cameras? Pros and Cons of 850nm Infrared CCTV Camera Systems:: All cameras are most sensitive to 850nm infrared light, and the 850nm infrared lighting can present clear and detailed images in greater distances. However, the wireless IR security camera systems with the wavelength of 850 nm will have a conspicuous red glow that you may don’t want. Pros and Cons of 940nm IR Security Cameras: The 940nm infrared light demands a highly sensitive infrared security camera and gives off invisible lighting. It is a better option when you need an invisible infrared security camera but the performance is up to 50% less powerful than 850 nm infrared lighting. Now most infrared security camera systems have the 850nm infrared lighting and if you want to hide the IR illuminator glow for IR security cameras, continue to read the common issues of infrared security camera systems below. If you want long range IR CCTV security cameras, check how far the infrared security cameras can see in complete darkness. And this is often largely determined by the type and number of built-in LED lights of outdoor/indoor infrared security cameras. 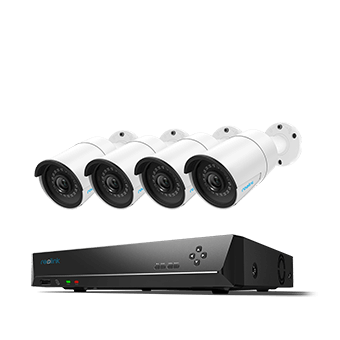 For example, Reolink PTZ infrared security camera with 6pcs infrared lights can see up to 190ft in low light conditions, which many other infrared video cameras fail to do. But don’t get the wrong impression that the further the wireless infrared security cameras can reach, the better the camera is. Instead, you can choose short range or long range infrared security cameras based on the area you need to monitor. How can you tell whether a camera is truly an infrared security camera or just advertised as so? The way is simple: inspect the camera specifications and see the Lux rating that represents how much light is required for producing usable images. The small the number is, the less light is needed. So a real infrared security camera system will have a 0.0 Lux rating and can work with in total darkness with no ambient light. Infrared security camera motion detection is an essential feature for you if you want to be alerted of abnormal movements in real time. Too many false alarms from infrared surveillance cameras for home? Or no notifications triggered from a passing suspect? I guess neither is what you expect. And that’s why you need to properly place your IR security cameras (read this to learn the ideal locations). It also matters to adjust the motion detection sensitivity on your smart phone based on the specific needs. 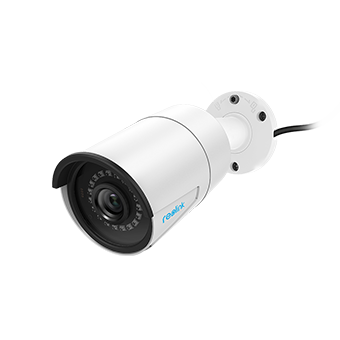 Sum Up: Besides these factors above, you should also allow for the infrared CCTV security camera’s price/performance ratio, security camera warranties, resolution, storage space, security camera lens, etc. Besides looking through the product page of infrared security cameras, you should also not miss these practical insider tips to help land you on the best infrared home security cameras. Watch the daytime and night vision video samples of IR security cameras. Read the reviews of wired and wireless infrared security cameras from real users to see if they think highly of the cameras. Search the professional infrared security camera reviews from top-tier media online, which include a breakdown of the pros and cons of infrared security camera systems. Narrow your choices down to some reputable brands with sound after-sales service, like 30-day money back guarantee and 1-to-1 instant technical support. As we mentioned above, now most infrared security cameras for sale have the 850nm wavelength. So there will be a glowing red illumination at night that may arouse the attention of burglars and attract bugs or spiders to the IR lights, causing constant false alarms and unwanted recordings. Then how can you hide or disable the red glow of CCTV infrared outdoor security cameras? Some of you might want to put black electrical tapes over LED bulbs. But note that the LED lights are how the infrared security camera system works. If you block it out, your IR security cameras won’t be able to deliver clear images at night as well. A feasible alternative is to disable the IR lights and install an external IR illuminator. Some infrared security cameras will offer you the option to turn off the IR lights in the camera settings on your phone or PC. But for those who don’t, remember not to tell apart the wireless infrared security camera systems on your own since it will void your warranty. When an infrared security camera is placed behind glass, the infrared reflection could occur, resulting in inferior pictures. The best tip for you is to NEVER place the infrared security camera systems behind any glass. And you may choose an outdoor IR surveillance cameras so that it can brave the outside elements. Also, don’t mount the wireless infrared security cameras too close to a wall, ceiling, or in between two walls, otherwise the camera’s IR LEDs will be obstructed and cause infrared reflection. Editor’s Note: Read more tips about using a wireless infrared surveillance camera behind a glass/window. Your outdoor/indoor infrared security cameras or IR on security cameras not working? Tip 1: Make sure your power supply or power supply distribution box is giving amperage to help the Led lights burn. Tip 2: Clean the glass dome regularly with a damp microfiber cloth or windshield cleaner. Do not use any other chemicals on the glass of IR CCTV security cameras. Tip 3: Check the cables if the IR LEDs of infrared video security camera systems are not on in dark at night. Tip 4: Make sure the wireless infrared security cameras are not placed beyond the maximum WiFi range. Bonus: Learn more solutions if your infrared security cameras won’t work. With the above buying guide on infrared security cameras, you can now set off to purchase an infrared security camera system in US, UK, Germany, Australia, New Zealand, India and other countries on security camera online store with free shipping. And all Reolink products are the TRULY infrared CCTV security cameras and systems, so be ready to get surprised at the remarkably clear images captured even in utter darkness! If you still have any questions related to the IR security cameras, please feel free to leave your comment below and we will try our best to help. This entry was posted in Buyer's Guide and tagged infrared light, red glow at night, security camera led, security camera night vision, turn off led lights.